How Microsoft will determine what constitutes a 'user' of assistive technologies is unclear. While Microsoft may be sounding the alarm about the end of the free upgrade period for Windows 10, one group of users shouldn’t have to worry: those who use assistive technologies. Microsoft plans to end its one-year free upgrade program on July 29, after which Windows 7 and Windows 8.1 users will have to pay for the privilege of using Windows 10. But that deadline will not apply to users of technologies designed for disabilities, Microsoft said in a blog post. “We are continuing to deliver on our previously shared vision for accessibility for Windows 10 and we are committed to ensuring that users of assistive technologies have the opportunity to upgrade to Windows 10 for free as we do so,” Daniel Hubbell, a Microsoft accessibility technical evangelist, wrote. It’s unclear how many computer users actually make use of assistive technologies, though the U.S. Centers for Disease Control and Prevention estimated in 2012 that 33 million Americans have a disability that makes it difficult for them to carry out daily activities. 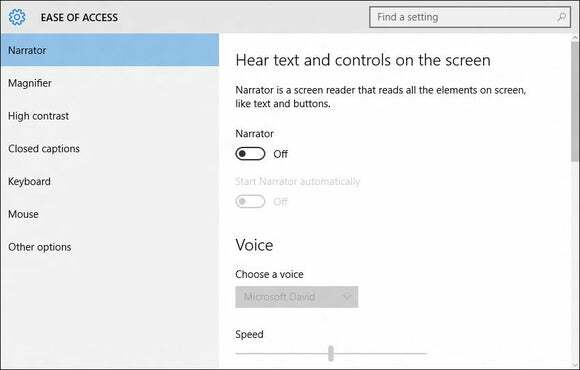 Examples of assistive technologies in Windows 10 include Narrator, a screen-reader app that vocalizes text; Magnifier, a digital magnifying glass for those with poor vision; and Speech Recognition, which allows you to control your PC using your voice alone. Microsoft also lists a number of certified third-party assistive accessories, including literacy software and Braille keyboards. Why this matters: Unfortunately, Microsoft’s blog post leaves many questions unanswered and a company spokesperson couldn’t elaborate on details, for now. Until then, you have to wonder: What constitutes a “user” of an assistive technology? Will Microsoft make this determination, or is there a way for a user to self-certify that they are in fact disabled? Conversely, will there be methods in place to ensure that the loophole isn’t used by able users to take advantage of the waiver? And how long will disabled users have before this offer expires? Microsoft has promised us answers, but we don’t have them right now.